How Far is Tachikawa From Tokyo? 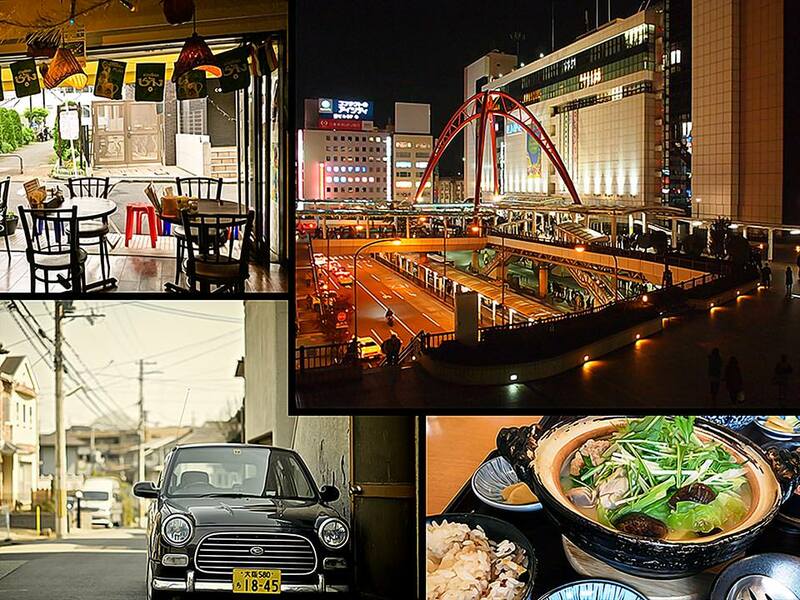 Tachikawa is a city tucked away in the western suburbs of Tokyo. If you’re local you know it’s absolutely loaded with eats and sights to discover. But if you’ve never been to Japan you have probably never heard of it. You think in terms of Tokyo, Kyoto, and Osaka. But Tachikawa is an amazing place to visit too. Let me show you why. Open from 0930-1700 daily, originally Tachikawa Airfield, it was converted into a fantastic family getaway from the bustle of Tokyo lifestyle. Just 450yen per person over 15 years of age, Showa Park has a range of historic sites, delicious restaurants, and open space to rest, relax, and explore. With biking trails and barbecue spots, there’s outdoor fun for the whole family. In the winter the park turns into an illumination wonderland too. If you’re visiting in the autumn, the fall leaves are a sight to behold. Every year in March – April there is a flower festival as well. Crazy colors on display to bring out the romantic side of anyone. Plus the cherry blossoms are in blossom around this time! This museum is dedicated to the life of emperor Showa, also known has Hirohito — the infamous emperor of Japan during World War II. It’s clean, it’s attractive, it’s very well put together. It’s also inside of Showa Park — so there is a small fee, since it costs to get into the park. But you do get a glimpse at the struggles the people of Japan went through during this massive conflict — and there are building in Showa Park that still have damage from the war. Overall a great experience, especially if you’re into history. Do you enjoy science? Interested in learning about the arctic and the organisms that thrive there? Or maybe you’d like to see an aurora simulation? The Polar Science Museum is for you. Open from 1000-1700, it costs absolutely nothing and can fill an afternoon with science and wonder. It’s actually a great break from the outside heat if you’re looking for somewhere to go without melting in the sun. This is real interesting. Faret Tachikawa isn’t a specific place. It is an area with artistic urban planning. Essentially an area in Tachikawa with a focus on creating an attractive, comfortable, and entertaining atmosphere to surround yourself in. Okay, so LaLaPort Mall isn’t unique to Tachikawa. There are LaLaPort Malls all over Tokyo. But if you’re in the area I wanted to mention it primarily because of the next place I’m going to introduce (Tachihi Beach). LaLaPort Mall is loaded with stores ranging from men and women’s fashion and home goods to eateries and supermarkets. The supermarkets are fantastic because you can buy all the items you need for a barbecue and then head over to Tachihi Beach, which is within walking distance of LaLaPort Mall. Checkout Pizza Salvatore Cuomo if you do come to LaLaPort Mall with an empty stomach. Delicious pizza and a fantastic, fresh, organic all-you-can-eat salad bar too. Now this is really cool, and also a little cheesy at the same time. Tachihi Beach is a man-made beach in the middle of urban Tachikawa. It’s a walled off area with sand and walls painted to look like an ocean backdrop. Awesome? Ingenious? Weird? You decide. But if you want to find an interesting place to have a barbecue, and would rather not drive for hours to get to the real beach, check out the Tachihi Beach in Tachikawa. This is just a tiny neighborhood park (koen is the Japanese word for park) where you can take the kids to run around some interesting playground equipment. But the cool part is the playground equipment is designed to look like oni, or demon in Japanese (but not in the crazy horror movie style). It’s a neat place to check out, and it’s just a few minutes walk from Tachikawa Station. San San road actually feeds into the Faret Tachikawa concept. The artistic urban planning area that makes it a wonderful place to walk. Tachikawa can be quite a busy place, especially on the weekends. But this road is very large and spacious. It’s like an oasis tucked away from the big city sprawl. The road is lined with shops, nature, street vendors, performers, and hosts many events throughout the year — including a fantastic winter illumination, and even a big cosplay meetup. You know what, it’s probably easier if you see it for yourself. If you want to catch a glimpse of what life was like in this area a very long time ago, this is the place to go. The museum contains artifacts of a time long gone, when life was much simpler. When clay bowls, hunting, gathering, and straw homes were the norm. But it also shows a timeline up to more recent history. It really is a fun museum to check out. It’s not huge and you can finish the whole thing in a couple hours. Plus it is free so why not take a peek if you’re in the area and looking for something new to do? Alright, I saved the best for last. You probably think I’m kidding. How could a train station be the best thing to do in Tachikawa? Honestly I believe the train stations are probably the best kept secret for exploring Tokyo (and Japan as a whole for that matter). But in a nutshell it’s because the train stations are home to some of the best mom and pop shops you’ll find — the izakaya. In many cases it’s like amazing Japanese craftsmanship… the heart and soul of the owner poured into their cuisine. And also the train lines in Tachikawa station are well-connected. Want to go downtown to Shinjuku? Easy. Need to head back to Narita to fly home? No problem, there’s a direct Narita Express train just for that. Plus the area around Tachikawa Station is interesting — a raised platform of walkways letting you cross all over the city without worrying about traffic. Technically Tachikawa is a part of Tokyo, but I imagine you’re referring to downtown Tokyo. A trip from Tachikawa Station to Shinjuku Station, on the slow train, will take roughly 38 minutes. The fast train will get you there in 25 minutes. The fast train is just one that skips over a few stops on the way. Well, the kanji 立川 literally translates to standing river. There are a couple theories what that actually means. I personally like the theory that believe there were a clan of samurai named Tatekawa, which could be loosely associated with Tachikawa. There’s a great article about this on Japan This. Orbi Yokohama – Virtual Experiences to Learn and Enjoy NatureOrbi Yokohama is a virtual learning nature exhibit with games, interactive video, and even a petting zoo, where kids can learn nature in a fun way.